As you know I’m running a week behind. I’m deciding to do week 10 before week 9 because of two reasons; it’s actually week 10 and because I need this. I will be posting week 9 later this week. Lately, it’s been soooooo hard for me to really connect with you guys; not that you were far away but issues chipping away at my heart. I lost heart and I am heart. My heart is my biggest asset and so I felt like I was no good, with nothing good to offer. Yes, there was an event at my job and yes, I threw myself into that because there were things that were going on behind the scenes that I wasn’t willing to confront but also because my name was on the line. So I was gonna make sure it was a success. I failed to deal with myself and therefore, I was a public success and a private failure. I wasn’t praising. I wasn’t writing what I was thankful for. I was choosing to see the glass half empty and was drowning and didn’t know it. Jonah was tossed off the boat. He didn’t drown. He was swallowed by the whale and found himself in the belly. He was at a low place and so was I. In my distress I called to the Lord, and he answered me. From deep in the realm of the dead I called for help, and you listened to my cry. You hurled me into the depths, into the very heart of the seas, and the currents swirled about me; all your waves and breakers swept over me. I said, ‘I have been banished from your sight; yet I will look again toward your holy temple.’ The engulfing waters threatened me, the deep surrounded me; seaweed was wrapped around my head. To the roots of the mountains I sank down; the earth beneath barred me in forever. But you, Lord my God, brought my life up from the pit. “When my life was ebbing away, I remembered you, Lord, and my prayer rose to you, to your holy temple. “Those who cling to worthless idols turn away from God’s love for them. But I with shouts of grateful praise, will sacrifice to you. What I have vowed I will make good. 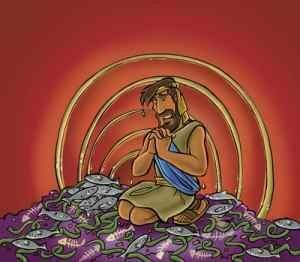 I will say, ‘Salvation comes from the Lord.’”And the Lord commanded the fish, and it vomited Jonah onto dry land. In these places, there is a temptation to be down and feel defeated, to feel like everyone else is making moves and you’re standing still. There’s a temptation to feel overlooked but we have to find the blessing in everything because it’s so easy to identify the not so good. Let’s be real, praise isn’t typically our first response but Jonah is showing me that it should be. Praise wasn’t Jonah’s first response either. Jonah had to learn that the fish saved him from the sea. I took for granted the practices that I had put in place and when life happened (rejected from jobs, gaining weight, not having security, ex’s moving on and having babies, dad abandoning me again, not having contact with my sisters, etc) I had no way of repelling the darkness and before I knew it that’s all I could see and I was so weighed down that I couldn’t lift my hands or my heart to praise. I tried. Nothing of substance would come out. I couldn’t smile and everyone was asking if I was tired. I was. I was tired of feeling like life had its way with me and spit me out. That was my fish, what’s yours? Just like Jonah, I was in my funk for about 3 days, then I had a random flashback and I remembered when I was growing up, I remember that I thought I was special. Everyone believes that they are special and everyone is but I remember have this overwhelming sense of it. I thought I’d grow up and become something special, not necessarily that my name would be in lights but that I would do something worthwhile. I envisioned that I would do something that would be great and in that moment knew that I had to get back to that. Before that vision, I had felt like I had nothing to live for. 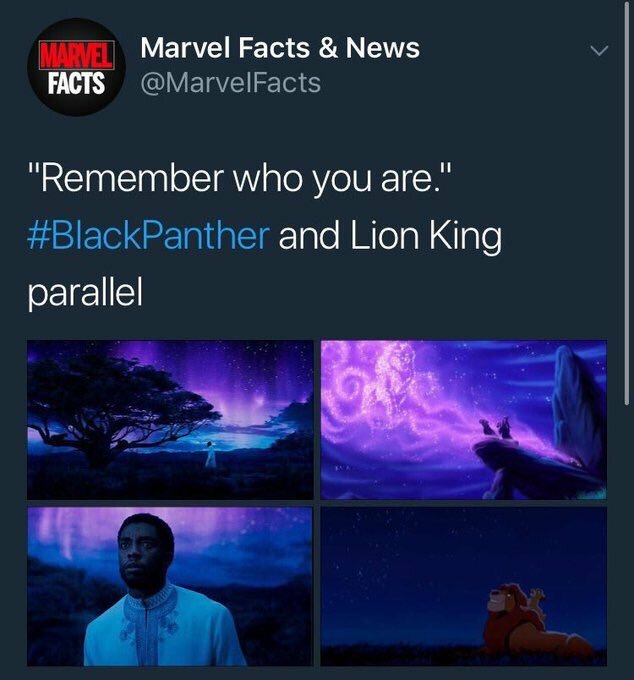 In the movie, Black Panther, T’Challa’s family was reminding him to remember who he was. They wanted him to remember that even though he might have fallen, he could rise again as the king he was always meant to be. Life will happen and there is guaranteed to be ups and downs but as long as we remember our roots, the promises of our forefathers and stay connected, we will rise again. It’s funny to me that people that aren’t living for God are likely the main ones that have stuff to say when Christians are going through. They criticize the hardest, like we can’t have bad days. It is not a question of my faith. I’ve always believed that God will help me through my hard times and that everything ultimately works together for my good. However, life is always happening and if you aren’t doing enough to encourage yourself those bad vibes will rise like smoke. When smoke is inhaled it takes your breath away and it clouds your optimism with doubt. When you don’t know how to praise, lift your hands and humble you heart and say…[ Praise to the Lord ] Lord, you are my God; I will exalt you and praise your name, for in perfect faithfulness you have done wonderful things, things planned long ago.